Traditional Leather Desk Pads by JKS Marketing Inc.
Our traditional leather desk pads are made with a leather-like vinyl (Morbern Ambassador) or quality leather with felt backing. They feature the traditional pocket side panels. The writing surface is either matching vinyl or leather. 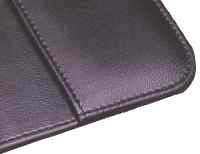 Our leather or vinyl desk pads come in a variety of sizes - custom sizes are not a problem. Price will based on the next standard size up. We also offer Hot Stamping and Embossing. 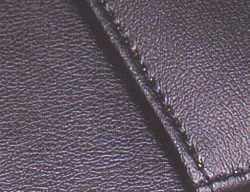 For cleaning tips and other infomation visit our Leather Tips & Facts and Vinyl Tips & Facts Pages.